Police Department, City of New York black and white identification photograph number 18261. 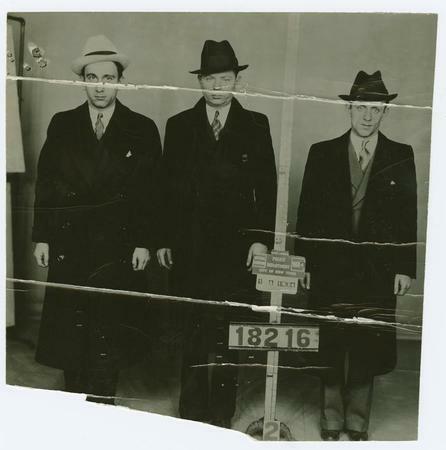 Group .2.2. photograph of Abe Goldberg, gallery number B-64161; Phil Tolchin, gallery number B-20798; Max Novita, gallery number B-62263. Full length portraits facing front.